small-check pattern in contrasting colours of ochre and brown on a white background. Its basic colours are developed to include other colours. Used for men's suits and trousers, ladies' sports-style skirts, suits and coats, and also for childrenswear. The name is given by the London horse market Tattersall's, an important centre for keen riders. 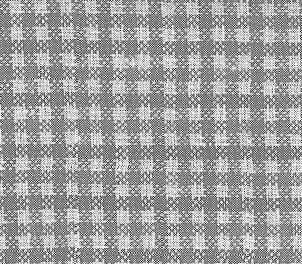 This pattern was first used for horse blankets.